C&S Definite Purpose Contactors meet complex requirements for heating, air conditioning, refrigeration, data processing, and food service equipment. 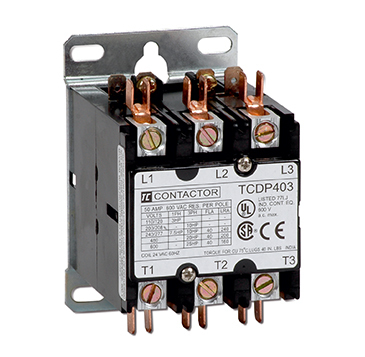 Compact 1 ,2 and 3 pole contactors have feature for screws termination or box lug termination for easy wiring. An exclusive DIN track mounting option may reduce installation costs. Auxiliary contact modules snap on either side of this Type of contactors.